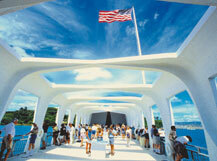 daily on a first-come first-served basis at Pearl Harbor Visitor Center. Join the 1.7 million visitors that visit the USS Arizona Memorial and learn about the day that launched the United States into World War II. Three wars, spanning three generations. 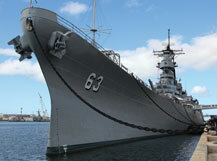 Climb aboard the last U.S. battleship, the “Mighty Mo,” as she stands silent guard over Pearl Harbor. Silent no longer. 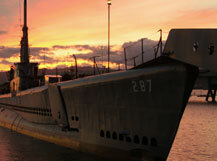 Delve into the history of America’s Submarine Force – the Silent Service – and learn of the vital role Navy submariners played in the war and beyond. Step into the WWII-era hangars of Ford Island. 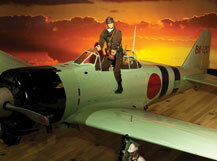 Walk among actual vintage aircraft, fully restored, and take flight in the museum’s interactive Combat Flight Simulator.